Supplement brand Cavalor has revealed its sponsorship of three successful young event riders – Emily King, Sam Ecroyd and Yasmin Ingham. 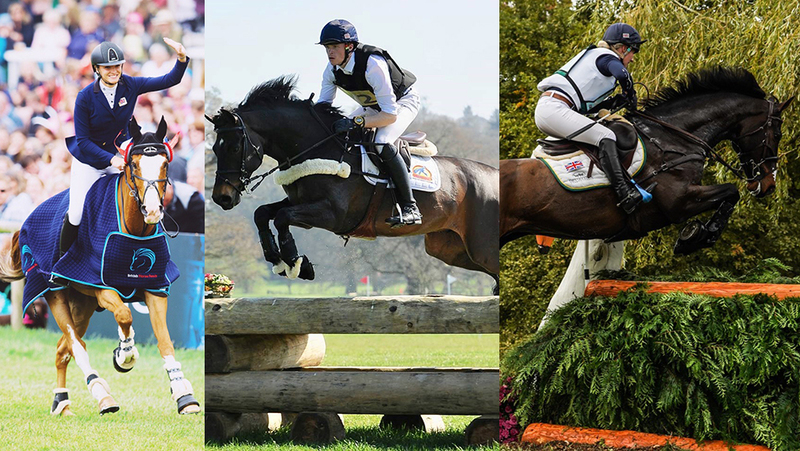 The trio already have an enviable eventing record between them. Emily represented GB for the first time at just 15 at the 2011 Junior European Eventing Championships where she finished seventh individually with Mr Hiho. In 2012, her mother Mary King won Silver at the London Olympics and Emily won Silver at the Junior European Champs making them the ﬁrst ever British mother and daughter in history to win a medal for their country in the same year. She ﬁnished 4th in her ﬁrst ever CCI**** at Pau, France when she was 19 years old – being the highest placed British rider, highest placed female and youngest in the competition. Now the reigning U25 National Champion after winning Bramham International U25*** last year, Emily was also the youngest competitor at Badminton 2018 and is hoping to follow in the Olympic footsteps of her famous mother. Sam has represented Team GB in the European Championships seven times on six different horses since he was 13, winning Team Gold, Team Bronze and Individual Silver Medals. He has trained with Michael Jung and Marco Kutcher, and was the leading U21 rider winning the Goldman Cup 2 years running. He won the Britannia 3* league with Wodan III in 2017, and competed in his first four star at Burghley Horse Trials in 2018 on Master Douglas. He is also regularly in the placings at Bramham International. Yasmin won Individual and Team Gold for GB at the European Pony Championships in Italy aged 16 and is the reigning U21 Champion and Goldman Cup winner. Last year, Yasmin also finished 16th in her first four star at Pau on Nightline. In addition to Emily, Sam and Yasmin, Cavalor has confirmed sponsorship deals with show jumpers Oliver Tuff and Nicola Barry.